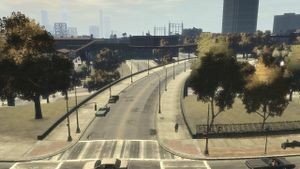 Savannah Ave is a street that connects Dukes Boulevard to Ellery St in Grand Theft Auto IV. It is located in the borough of Dukes. This road is right by Monoglobe and has an entrance to Meadows Park. The McReary family live in their mother's house on this street.